Tom Kizzia retells the story of Tariek Ovuik in his hometown Point Hope fleeing from dangerous rising water. Ovuik recounts the near-death experience and relates it to the shifts in climate change. Kizzia works to relay Point Hope and places like it affected by oil drilling and the history of how the practice occurred (80). This article points out the danger in climate change caused by government involvement for oil. There's been increasing discussion of climate change and government involvement over the years. What's one useful way this article expanded or deepened your knowledge on the subject? One problematic aspect that I learned from reading this article is that the problems that are associated with climate change are slow-developing which makes the government's of the world/ the people who actually have the power to address climate change lackadaisical. An example of this can be dated back to 2011 when the Pacific walrus became a candidate for protection under the Endangered Species Act (88). Lost of sea ice due to global warming caused by the increased carbon emissions into the atmosphere is the most critical threat to the walrus population, but since local hunters were the more imminent threat, they were focused on rather than addressing the bigger issue. There's always some problem that seems more important than addressing climate change which could lead to dire consequences not necessarily for us, but future generations. One thing that this article helped me understand is how climate change could effect ecology. On page 87 when a group of walrus carcasses were found because they died due to the summer ice being melted early. Since i am really interested in ecology, reading about how the walruses were effected by climate change interested me the most. Climate change has always been a topic of discussion in society, more times than others. But especially now, it is something that I see a lot of young people advocate for, since we are the ones inheriting the damage past generations have put upon our environments. I think the quote from Jacob Adams when h said "nobody knows whether the ice melting is going to threaten any species at all" (86) is something a lot of people still believe. To them, climate change and global warming is a myth that is yet to be seen. That is ignorance that needs to be admonished and that is also the same mindset seen in this article with the efforts to stop intensive oil drilling. This article reopened my eyes to the impending issue of Climate change. While i'v always been aware of this problem the article "The new Harpoon" serves as a testament that these issues are a pressing matter now and not just in the future. Oviuk was quoted saying, "Every year we don't know if it's the last time we're going to see the ice(78)." I'm lucky to be in a part of the world where the affects aren't as strong but am humbled knowing that there are some whose entire lives are being turned around because of it. Climate change has always been a big topic in the news. A lot has changed and is still changing. There are lots of glaciers still melting and the temperatures are rising making it so much harder for the wildlife in certain areas like the Arctic. One thing that was surprising to me was that it is was 131 walrus carcasses (87). Climate change isn't something that interests me as much but it is sad to know that the wildlife is depleting so much in such a short amount of time. While reading this article it reminded me just how much climate change is effecting everyone. Not only does it affect people but it was also affecting the animals in the arctic. On page 87 it said that there were 131 dead whale carcasses found on the beach. Whales are already endangered they don't need to go through this. This article also showed me that climate change is a very real thing that is happening in the world today and there aren't a lot of people trying to do things to help reduce it. Climate change has always been a topic that I hear about so much that I've gotten used to just tuning it out because it always seems like there is a lot of talk but no action. However, this article made it nearly impossible to tune out any longer because it directly showed the effects of climate change that can not be denied. A whaler named Hanko stated in the article that "there's going to be a time in our life when we're hunting in T-shirts and tank tops" (91). Whether this really occurs in his lifetime or not doesn't change the fact that it is a real possibility and that fact alone should open everybody's eyes to the terrifying reality of climate change. Climate change is something my friends and I joke about because there is nothing significant us citizens can do to prevent/relieve it due to major corporations producing more pollution than we ever could in our lifetimes and we might as well just embrace the sweet grace of death when the world plunges into another ice age or we die to some mega natural disaster or something along those lines. This article did provide me some useful information, such as 131 whale carcasses appearing on a beach due to the summer ice disappearing early in 2009 (87). This shows me that climate change is already begun and will continue to destroy lives until everyone is wiped out unless we figure out a way to slow it down or stop it completely. One thing that shocked me was on page 87 when they said there were over 100 dead whales. When you usually hear about climate change you hear about how the glaciers are melting. Or you hear about how it will start getting warm in the winter.i hadn't really heard about dead animals until I read this article and this will now have me paying more attention to this issue. "The Artic had just seen two months of record temperatures, in a winter that researchers were calling 'absurdly warm'" (90). There has been changes in weather that have caused the ice pack to thinner or melt away. This makes it harder for people to hunter where they once did. Climate change has been a big issue for a while now. I hear about it everywhere and how it effects everyone and everything. One point in this article that deepened my understanding of climate change was when they were talking about warmer weather in the Arctic, "The Arctic had just seen two months of record temperatures, in a winter that researchers were calling 'absurdly warm'" (90). The warmer temperatures in a climate that is supposed to be cold would be dangerous to the animals in that environment and damage their habitats. I know several people who have stated they are not planning on having children due to the state of the Earth now and where it's heading. A percentage of the general populous acknowledges climate change and are willing to change their habits to help out. But until a large government presence is forced, by the people, to make the decision to advance the research, development, and implementation of green energy, it is a futile effort. Mass species deaths are already a thing. On page 87 it says, 131 dead walruses were found on a beach. The effects of climate change are real, but when are we going to band together and do something about it? As a previous poster said, climate change has always been a topic of discussion, it was just a question of whether or not people wanted to listen. It was always something someone could turn away from or live in ignorance that it is not real. But when there is "a sandy beach littered with walrus carcasses" (87) because of ice melting prematurely, thats not something you can turn your head away from. It is one example of I'm sure hundreds that are slowly but surly damaging life on earth. Climate change is something that I have thought about a lot over the years. I always wondered why the government wasn't aggressively trying to find a solution when it was obviously a big problem. "In 2011 the federal government, citing the effects of lost sea ice, listed the Pacific walrus as a candidate for protection under the Endangered Species Act. But for regulators looking to preserve wildlife population, Eskimo hunters offer an easier target than major producers of carbon emissions do"(88). After reading this, it occurred to me that the government just may not care as much as it should until it is too late. The article has definitely deepened my knowledge of climate change by introducing to me how some people depend on the ice in the Arctic. I've heard about the ice melting, and I knew that it was something to worry about, but I never realized how serious the issue was. Thin ice makes it hard for the people of Point Hope to ride their snowmobiles, and has even resulted in the death of Arnold Brower Sr. Not only that, but when hunters travel to look for whales, they have trouble making it home safely due to the body of water that has formed from the ice melting. Walrus also depend on the ice, and have been found dead on beaches due to the ice melting. Overall, the article was very insightful into things that were swept under the rug. On page 80, the author touches on a few oil booms, one of which happened in 1848. Many Alaskan natives were killed by diseases, alcohol, and starvation all in efforts for whalers benefit. One thing the article helped me realize is that stories like these sound far too common and we are slowly losing humanity, while killing the Earth. This article expanded my knowledge on the total damage being done to the climate. It was interesting to learn about the a personal experience and how that changed their mind about the climate. It effects others native way of living. It causes them to lose their culture in a way as well. People depend on how the climate is. It’s sad that we are not entirely informed of what is going on around us and that nothing is completely being done about it. This article just reaffirmed for me that we need to take care of the Earth. We don't have as much time as we think we do. Climate change is happening and it's not going away, so we need to start creating and implementing solutions. I think the reason some do not believe in climate change or doubt its effects is because they are not affected by it yet. However, we shouldn't wait until we feel the repercussions of climate change. After reading Kizzia's article, I think it showed how global warming is an issue that's affecting our environment at a faster rate than assumed. On page 90, Kizzia stated that the first place to reach 400 parts per million of carbon dioxide in the atmosphere was reached. Now this is the level in our entire atmosphere and it's only 50 part per million from being a major concern(90).I think the most alarming thing about global warming is the amount of people who don't view this as a major issue and the lack of attempts to preventing global warming, especially from public figures whose decisions can have a major impact. The issue of Climate change has been the topic of discussion more so recently then ever. Yet, I find it interesting that although it is a very serious impending issue, a lot of people choose to look past its severity. And, I feel as if seldom people know the damage that climate change poses to our society. The article reaffirmed by beliefs that climate change is a very pressing matter that the world needs to seriously look at. The book mentioned, “every year we don’t know if its the last time we’re going to see the ice" (78). This is very scary because there are so many ecosystems that rely on this type of climate. It is sad that our world is changing rapidly at this pace, and it seems as if there is not much we can do about it if we continue to emit CO2 as much as we do. I always understood that climate change was very detrimental to the world but not all of its consequences. But learning, "Villages in Alaska’s Arctic consume nearly four hundred and fifty pounds of wild game and fish per person each year, according to a recent study. “Without the animals, we wouldn’t be who we are,” Oomittuk said." I never knew that some people were experiencing some of the effects of climate change already. This article was very enlightening. Climate change is an issue that people have been discussing for several years and will continue to discuss. Climate change will continue to effect us because of the way the earth has been treated. The article "The new Harpoon" demonstrates how severe these issues are. Climate change has always been looked at as a future matter. This article shows it as a current problem. In the article Oviuk was quoted saying, "Every year we don't know if it's the last time we're going to see the ice(78)." It gets exhausting having things like this come to my attention. Like... we haven't messed up the whales enough already? Humans have remained faulty in so many ways and yet still have the nerve to call themselves the smartest species. I've been told that many business owners are smart enough to make a more efficient product when they know their sources are lacking or are in conflict with future business. At the same time, America, and I'm sure many others, are some of the most privileged countries to think they have the right to prioritize their white collar problems like lower profit over literally the entire planet. Sad to see the government still hasn't stopped their habit of wiping out Natives as well. I'm only interested in seeing the planet hit the reset button on this annoying species at this point. I can't feign surprise with this. Just irritated.. I found this article helped to strengthen my knowledge on the subject of climate change, because it opened my eyes to what is really happening in our world now, because of climate change. I hear about climate change many times, but never understood it and how much it can and has been affecting this world. Oviuk says, "Every year we don't know if it's the last time we're going to see the ice (78)." This was a possibility that I did not realize was possible until I read this article. Climate change is a more recent issue that is coming to surface upon evaluation of the problematic ways we are living. Temperatures are rising and ice is melting as a result of human activities and people are starting to see the ramifications of this activity. Page 87 shows animals are the ones facing some of the ramifications. 131 walrus carcuses were seen on the beach. Numbers like that really show the effects our behavior has on the world. This article expanded my knowledge on how climate change is affected our animals. I did not know that animals were suffering at the capacity that they are. In the article it says “In the fall of 2009 two biologist with the U.S Geological Survey, on a flight south of Barrow, spotted a sandy beach littered with wa;rus carcasses: 131 dead, most of them young, evidently trampled in a stamped” (Kizzia 87). It’s amazing how the government is fully aware of the danger of climate change and fails to do anything about it. 131 walruses died because of global warming, and while that may not seem like a lot now, this happened 10 years ago, meaning we are still losing animals constantly, each year and no real change is happening to prevent such tragedies like these from happening again. This excerpt greatly expanded my knowledge on the effects of climate change. For me, a Midwesterner, I simply saw it as an effect that affected normal weather conditions in our area. It helped me more to realize that to other organisms around me, it was depicted as a lifeline that will help them to survive in their habitat. This excerpt allowed me to be more insightful/worried about what climate change/global warming does to our world. This article enriched my knowledge on this topic a lot. Specifically with the lack of government involvement on slowing down climate change. So much stuff that we should know about is not common knowledge. The effect of oil on the Alaskans for example is something that should be shared with everyone. This article confirmed that the negative effects of climate change are already upon us. Because it is not changing the way the majority of citizens live e keep saying it will affect our grandchildren and great grandchildren but we are actually reaping what we sewed now. I’ve heard a lot about climate change over the years and have even taken a class that discussed some of the impacts of climate change. It saddens me that we live in a world that is only reactive and not proactive. People do not want to do enough about the issue until it is far too late. And it’s just sad to see how not only humans are/will be affected but so will animals and all other forms of life on this planet. I haven't really read up much on climate change, but I do know it is a big problem. This article reminds me of pictures of emaciated polar bears that had been circulating on the internet, and this a great quote that may hint at why the polar bears look that way, "The Arctic had just seen two months of record temperatures, in a winter that researchers were calling 'absurdly warm'... If the ice goes away, the animals go away" (90, 91). I have always been aware of climate change and tried to keep my information up to date about it because it is something that has an impact on everyone in the world. Something in this article that helped me know more about this subject and that kind of scared me as well was on page 90 where it says: "The Arctic had just seen two months of record temperatures, in a winter that researchers wee calling "absurdly warm"" (pg. 90). This caught my attention because the next sentences discuss how thing the ice is when it used to not be as so. It shows proof of the earth getting warmer and how we need to do everything we can to stop it from being completely destroyed. On page 86 when it read "no one knows if the ice melting is going to threaten any species at all" that quote illustrates why climate change is not an important or issue in a lot of individuals eyes. I never really knew in detail the aspects regarding climate change until I took an IS course titled global problems and human survival here at SIUE. This course allowed me to learn about the importance and seriousness of the effects of climate change and this article allowed me to make more connections. Climate change is a big issue that most Americans ignore. 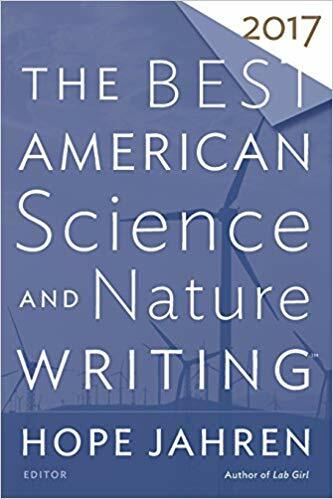 We don't pay attention to it because as it says in the book "few Americans are not as bound to the natural world" (79). I take a Natural Resource and Sustainability course here at SIUE. The course and reading this has helped to give me more knowledge of climate change. It has opened my eyes to see that if we don't do anything to try and help fix the problem then we will be worse off in the future. Climate change is an increasingly alarming issue that should be addressed now and not tomorrow, or be pushed off. This reading further deepened my understanding of climate change further. I understand the reasoning of those not believing climate change is real, however, it is still false reasoning. I couldn't believe the overwhelming amount of animal deaths recorded. Here it says, “In the fall of 2009, two biologist with the U.S. Geological Survey, on a flight south of Barrow, spotted a sandy beach littered with walrus carcasses: 131 dead, most of them young...," (p. 87) which is horrific and insane. Climate change is really a problem and better solutions have to be figured out and participated in throughout the world to see positive progress in fixing these devastating issues and situations. Climate change has been a crucial topic of discussion as of recent with more and more studies constantly being revealed. Even more so now as people of the next generation have generated a voice to spew their opinions with, since ultimately we're the ones that will truly endure the effects that climate change imposes because of decisions made by individuals prior to us. One quote that really stuck with me was that "nobody knows whether the ice melting is going to threaten any species at all," (86) because that's still the mindset of a lot people. People refuse to acknowledge the facts that are being proposed to us, or continue to neglect the idea as a whole, claiming that climate change is really just a myth. This negligence will prove to be dangerously detrimental if we continue to allow it and not do all that we can to improve our interactions with our planet. I already knew the issues on climate change and the horrible effect it could have on the world but reading this article, I see that the issue is still yet to be resolved and that it may even get worst. The quote “Every year we don't know if it's the last time we're going to see the ice(78)” states that the prediction on whether it will improve or decline is still questionable and concerning to every one but this is an issue that needs to end before it gets worst. Climate change has alway been a topic I personally have felt very passionate about. As the years go on and the Earth gets warmer and warmer and we begin to notice the major differences that are the effect of climate it becomes a more prevalent topic in people’s lives. This article just confirmed that more and more people need to be aware of this issue before it gets to the point where we cannot fix it. The article stated, “every year we don’t know if its the last time we’re going to see the ice" (78). . It is a little nerve racking that our world is changing so quickly and it seems as if there is not much we can do about it if we continue to not care about the CO2 we are emitting. This passage reminded me that climate change is still happening and it has lasting effects on not just arctic areas, but everywhere. The death of the 86 year old man on his snowmobile really touched me. A man who was used to the climate being very cold and thick ice to support his mobile was suddenly killed because of climate change. The whales dying due to early ice melting in summer was terrible! It is unfortunate, but there is nothing we can do to reverse the damage we've caused. The only thing to do is to try and slow it down. One way the article expanded and deepened my knowledge on clitmate change and government involvement was on page 78 when the author discussed President Obama, speaking at the Paris Conference and explain get the importantance or limiting our carbon foot. Which then Paris agreed to try to get the climate weather to two degrees Celsius in hopes to reduce the warmth on earth and help prevent the glaciers from melting. Climate change has recently become a popular topic of discussion in the past years, so I have heard a lot about how we need to stop it but not about whats really happening. This article definitely opened up my eyes as to why climate change is so bad. As animal lover, its hard for me to read this quote on page 87, "...a sandy beach littered with walrus carcasses: 131 dead, most of them young.." Its scary to think about how our negative affect on the Earth will eventually cause a negative affect on us. Climate change has been an increasing topic of discussion over the past decade across the world as we try to figure out how quickly the ice is really melting. From this reading I've learned how the oil industry changed hunters into business men and women. "The borough had the money. [...] And prominent whaling captains had become leaders in business - especially in the land-claims native corporation..." (Kizzia 83). These captains chose to leave hunting behind in order to survive the change going on around them with the oil industry rapidly advancing. The article discussed how efforts to slow the warming of the planet haven't been quite successful. In Alaska, climate change is affecting the way people live. Many families living in extremely cold areas of the world rely on the coldness to survive. According to the article, "These days the ice disappears so fast in spring that villagers struggle to catch bearded seals, whose skins are traditionally used in Point Hope to cover hunting boats" (p.78). Without the proper materials for their hunting boats, how are they supposed to efficiently hunt? I've always heard of climate change and some of it's effects, but never have I thought of how it could directly affect someone's way of life or survival. This gave me a deeper understanding of the importance of the issue at hand. In most recent years, climate change has become a largely discussed topic. Climate change has a significant impact on nature itself as well as human society. One useful way this article deepened my knowledge on the subject was when it mentioned that there was a "sandy beach littered with walrus carcasses: 131 dead."(87). Due to warmer temperatures, the ice melted which endangered many animals. This expanded my knowledge because I knew that animals were affected, but not that many at a time. This article allowed me to understand just how important the subject is. One useful way this article expanded my knowledge o the subject is when former president Obama stated that on a recent trip to Alaska he concluded that " melting glaciers, eroding villages, and thawing permafrost... is a glimpse at our children's fate if the climate keeps changing faster than our efforts too address it"(78). Eroding villages is a scary bit of information that i had not known. This opened my eyes to the possibilities if people do not take climate change seriously. This article expanded my knowledge because I always though of climate change as an issue of the future, but the article shows that it's an issue currently also. I also found the effects that climate change has on ecology interesting. One useful way this article expanded or deepened my knowledge on the subject is on page 87 it says " In the fall of 2009 two biologists with the U.S Geological Survey, on a flight south of Barrow, spotted a sandy beach littered with walrus carcasses: 131 dead, most of them young, evidently trampled in a stampede." This article shows the results of the negative effects of climate change. The ice melting around the world is causing a lot of these animals to lose their homes. You also have political figures and people in office denying that climate change exists only because of money. I am a huge advocate when it comes to climate change. This article was a very interesting read for me. "sandy beach littered with walrus carcasses: 131 dead. "(87).A lot of people do not realize the mass effect that litter has on the Earth. Just recently there was an article about a pregnant whale that was found dead with liters of plastic that she had consumed. This is a huge problem that needs to be addressed and the government needs to do more things about it sooner then later before it is to late. I have always felt pretty helpless when it came to doing something to change the climate. I also had the attitude of why should I care? I won't be here when it all goes to crap anyway. Well after this reading I must admit that was a very negative way of thinking. The idea that fish carcasses are washing up on shores due to this issue is insane. This just proves that my way of thinking is incorrect and I need to help as much as possible to prevent our planet from being destroyed. While climate change has always been a large issue in the scientific community, I think it is more so seen as a myth to those who do not understand or feel its effects. The most eye-opening point in the work, for me, was the discovery of 131 walrus carcasses due to the summer ice melting early. This is especially disturbing considering how it affects what people may view as more extreme areas of climate. This revelation brought me, as I am sure it would others, to the realization that climate change isn't as far off as one may think. This reading really opened my eyes when it came to the issue of climate change. You never know what the impact of global warming has on an individual until you get it visualized. It really hits a heart hard when you find out what would no longer exist or what will be harmed with this happening. This reading helped me realize some of the specifics of climate change we may not be able to see living in Illinois. The author described some statistics found upon his return to Point Hope, such as how the Arctic had seen two month of record high temperatures and the polar ice pack was visibly thinner (90). Research like this helps us realize if we don’t take action soon, the world in ten years won’t be the same. I always knew that climate change was and is a problem. It confuses me when people don't believe in the effects of climate change and how it could impact our lives. One thing that stood out to me was how climate change does not affect just humans but all living and non living beings. In the article it was talking about how there were skeletons of walruses. This shows that climate change is most likely going to lead to mass extinction in many of our current animals. This article really put a more urgent light onto climate change. I think it's easy to separate ourselves from the realities of climate change when we're not experiencing them firsthand. This article shows that there are people being personally affected right now by climate change, and that they have very real issues because of it in their day to day lives. This article definitely gave the more personal side of climate change and I hope that was enough to open the eyes of people who don't take it seriously.